You’ve created and linked a new GPO that uses Group Policy Preferences to move some files. You’ve had this working before, but now find that the files aren’t being copied across on certain clients. The Resultant Set of Policy (RSOP) tool does not show GP Preferences, so you need another way of troubleshooting this. 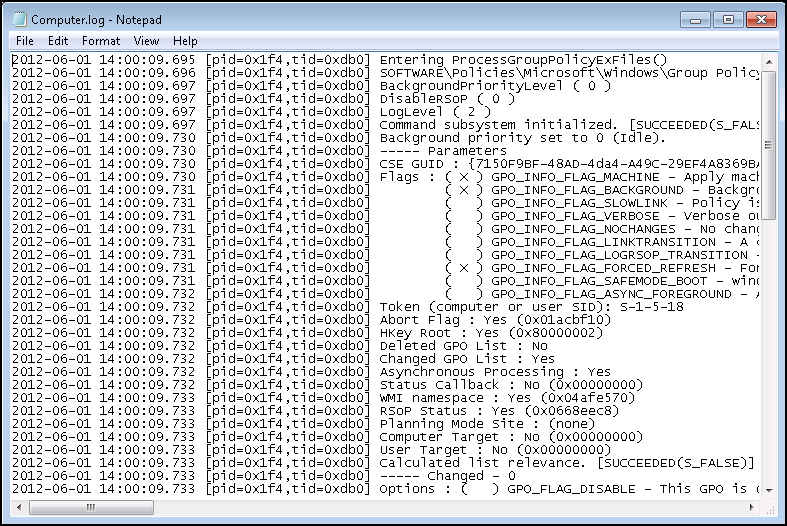 Enter Group Policy Preference logging and tracing. Double-click the relevant setting eg. Configure Files preference logging and tracing. Note the Computer trace file path %COMMONAPPDATA%\GroupPolicy\Preference\Trace\Computer.log. Run gpupdate /force or restart the client computer. There should be more than enough information to diagnose the issue…and then some!